Is your web contest too complicated? I received an email from a company the other day about their upcoming contest. I’m going to show the actual steps you need to take to enter the contest, but also change any identifying information. Enter your submission on our website between DATES OF CONTEST for your chance to win 1 of 10 prizes! I don’t know about you, but by the time I got to step three, my eyes glazed over and that was the end. I understand that this contest was developed to get people to engage in the company’s website and social media sites, however, most people are not going to spend that much time trying to win something. Maybe if the prize was a couple million bucks, people might do it. But this was for a basket of products that are worth a few hundred dollars at best. Many companies use the “find the hidden item” idea on their website in order to get people to look at the entire site. That’s a great idea in itself, but adding all of the other rules of this particular contest makes it a little too complex for the average person. You would have to be totally devoted to the product in order to do this. And those people are already customers! People may click on the first link and then lose interest. Once you complete all of the steps, you still only have a small chance of winning. Website visitors might find this scavenger hunt frustrating. That is not an emotion you want prospective customers to feel. Sure, have a contest! That is a fantastic way to get people interested in your site and products. Intriguing people is the name of the game for online sales. But, when designing the contest, try to engage without annoying your page viewers. While those of us in Baltimore are still celebrating last night’s Ravens win, the rest of the country is getting watching the inauguration and enjoying MLK Day. According to CNN, this will be the biggest event in the history of Instagram. Never before have so many people been able to use their cell phones to send messages out to the while world. As photo sharing programs grow in popularity, you too can take advantage of this media to share photos of your business. Millions of people are out there waiting to see your images. Make them interesting and engaging and you will surely succeed. How do you accomplish that? One way is to add a comment that is a call to action. Pose a question that you hope will elicit responses. Put a photo of a product you sell and ask people about it. Try to make your photos interesting and not just a picture of an item with a plain background. Have someone hold it, shoot it from a bit of an angle, do something to make the photo come to life. Blurry photos are never good. No matter what filters you add or what program you use, it will still be blurry. Take a little time to get it right. A funny or amusing photo will often get people to comment or share the picture. Adorable animal photos are extremely popular as are funny baby pictures. Photo bombing pictures, where a person or animal seems to have popped up out of nowhere taking over the photo, are always a favorite. If you are well-versed in Photoshop, it can make all the difference in the world. Using filters, special effects and cropping will enhance the picture. Effective use of Photoshop to add a humorous element to the photo will add a little magic to your image. So on this inauguration day, think about ways you can engage and entertain your own audience with the passion that this day holds for Americans. No, the world didn’t come to an end last night. It just seemed that way when Facebook had a little hiccup. What would we do without Facebook? It has become such a part of everyday life that all other social media went crazy with comments about it, which is interesting in its own way. I had the most amazing time during the 15-20 minutes Facebook was down. Honestly, with the panic that ensued, it seemed like the problem lasted a lot longer. At first I thought my internet connection went down. According to what I read, a lot of people had the same thought. Some people did not lose Facebook at all. Others could use the mobile version. The fact that people even mentioned that, shows how much this social media is imbedded in our society. The website downdetector.com shows what sites are down at any given time. Check there before you panic! Because the site is so popular, it demonstrates why every business should have a page and use it. You need to post on your Facebook page at least a few times a week, preferably every day, to get the most out of the site. Also, adding links to your regular website will help send traffic to the social media page. So true! Enjoy the fact that free social media sites are here for your business. Every now and then there is a little problem, but for the most part they are a presence that must be part of your marketing if you are to succeed. Just for fun, here are some of the fantastic comments I read last night. I didn’t attribute these to the people who sent them in case they didn’t want their names mentioned. #facebook is down, How will i know what everyone is eating right now?!? #facebook is down, how will I know if my elderly next door neighbor is ok? I could knock and ask, but, face-to-face interaction, ewww. This is Twitter in its prime; when #Facebook goes down and people need another social networking site to vent their frustration. 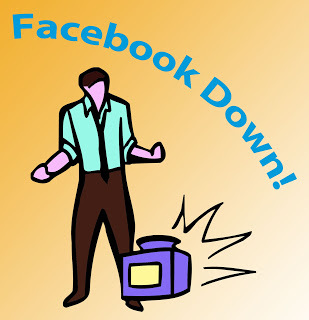 OMG #facebook is down. The Mayan doomsday calendar must be off by a few days. Some people don’t get it at all. Other people don’t even try. Twitter has been the focal point of military coups, tragic shootings and more. Users are tracking events with Twitter. Businesses are sending their messages this way too. You never realize how much you can say in just a few characters until you start using Twitter. What a great way to communicate your message! 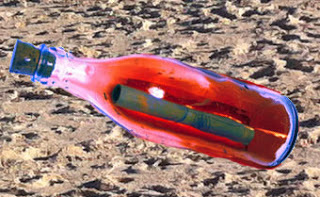 Sending a message in a bottle doesn’t really get results, but Twitter does. With over 100 million active users, if you are not using Twitter, you are missing out on a huge audience. With a decent following, or even when you are getting started, you should tweet at least a few times every day. It’s simple to add photos. People love photos, if you have the chance, add them. Because the message is short and sweet, you can post multiple times every day without getting anyone too angry about it. Make an offer for your business. Tell people a fun or interesting fact. You can say things that have nothing to do with your business. Just tweet for fun. The message goes out to an ocean of millions, the ripple effect can help you grow your business. Using hashtags (the # symbol) helps people find your tweets. If you own a garage, for example, using the hashtag #oilchange might help you get the message that you are having a special on oil changes today. The hashtag makes the word searchable. You could search #oilchange and see all of the recent tweets that used that hashtag. That is how people follow a dramatic play, get up to the second sports info, keep up on a natural disaster, military coup or war. People also use the hashtags for chats. Knitters meet weekly to discuss a knitting topic. Athletes “guest tweet” for NBA’s twitter page and answer questions on occasion. It is a wonderful forum and no one ever gets long winded. If you are sending a message for your business in a tweet, try to say something that evokes a response from the reader, a call to action. Something like: When was your last #oilchange? Come in today, we’re having a special! ABCMechanics.com (By the way, I just made up that web address. It is not real). By using automated tweeting software, your oil change message can go out ten or more times in a day. 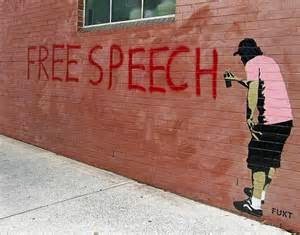 The more you send the message, the more people will see it. You can also tweet variations on a theme. Send multiple messages in a day, each one talking about the sale on oil changes, but giving a different fun fact or silly comment with each. Make your message stand out from the others. Watch what your competition does and do it better. Sometimes people forget they can make the tweets entertaining and interesting as well as sending their company message. Even if you don’t have anything funny to say, you can always retweet something you find funny that someone else posted. Retweeting posts can assist in gaining new followers. If you use the @ symbol before someone’s user name, that will change who is able to see the tweet. Only people in your stream and their stream will see it. If you add a period before the @, as in . @, everyone can see it. I just learned that one myself. I’ll have to try it soon. Unlike the message in a bottle, you are sure people are reading your message. If you don’t have a Twitter account, you should give it a try. It’s a fun way to use social media. If you’re not following me yet, visit me on Twitter (@snakecharmed). The best part of social media is the “social” part of it. When you send a tweet, post on Facebook, etc. many people say where they are or what they are doing. They might tweet a link to a web page because they think their friends might find interesting. Those types of messages are not a call to action. On a website, there might be a big, bold graphic that says, “Download me now!” That is a call to action we see all of the time on web pages. This tactic is a win-win. It attracts people to some kind of offer and then the site owner collects the name and email of the person for their own mailing list. You can also ask people to subscribe to a newsletter, blog or ezine. A similar call to action would be to sign up for a webinar or conference call. 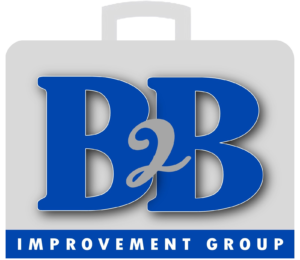 The consumer is becoming an active participant in your business. You want to keep them engaged with the information you give them. 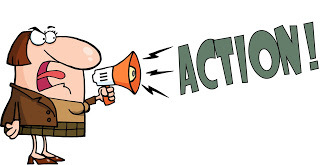 In a call to action, you connect with the people reading your post and they may respond. Instead of writing, “Went to the ballgame today. Go O’s!” You might say, “Watched the Orioles win today! Adam Jones was awesome. Who’s your favorite?” In the second example, you pose a question. That may cause people to comment about who their favorite player is. Now you are being “social.” You have started a conversation. In your blog posts, you should encourage people to make comments. That is another way to keep people interested. If at all possible, respond to all of the comments. By answering, you demonstrate to readers that you too are engaged and involved. Ask them to spread the word – share it on Facebook or tweet the information. It sounds like shameless promotion and maybe it is. But, if you do not remind people that the option to share the information is there, they might not forward your content to others. To be effective in your social media, you want to reach as many people as possible.